In 2019, artificial intelligence (AI) and machine learning tools will continue to help physicians make more informed decisions, hospitals achieve better outcomes, and patients receive more timely and personalized care. It is estimated that robotic tools will save the healthcare industry $52 billion by 2021. What does this mean for your health care? 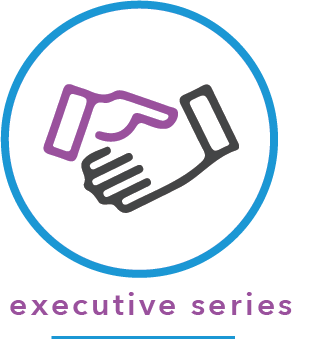 Join us at the April Executive Series to learn more about this fascinating topic. Our speaker will be Dr. Gregory Grose, specialist in Urology who is affiliated with Hospital Sisters Health System St. Nicholas Hospital, Saint Mary's Hospital Medical Center and St. Vincent Hospital. Dr. Grose has been practicing urology for nearly 25 years. He joined Prevea Health in 2009 and sees patients in Sheboygan, Plymouth and Manitowoc. Dr. Grose believes that patients make the best decisions about their health care when they fully understand their illness and treatment options. As a result, he educates his patients so they understand their condition and are motivated to take part in their recovery. Patients see Dr. Grose when they need treatment for incontinence, prostate, bladder, kidney and testis cancer and infertility. He also offers no-needle, no-scalpel vasectomy and laser treatment of kidney stones and prostate enlargement. He cares for adults and children. Dr. Grose attended medical school at the University of Washington in Seattle and completed his residency at the University of Wisconsin in Madison. He is certified by the American Board of Urology. Notice of cancellations are appreciated but refunds will not be given for cancellations within ten days of the event.